This isn’t a goodbye. As my regular readers know, I’ve been taking time off from this blog to further pursue my writing career. I’ve found it difficult – actually damn near impossible, to balance both the blog and the novel I am working on. 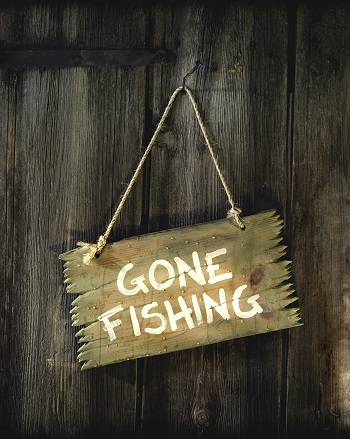 As a result, I am stepping away from the blog for awhile. How long? I’m not sure. I do know I am not shutting the blog down. As a matter of fact, I just extended ownership of the blog name. I am not just putting the blog on hold, I am pulling away from obligations in the real world as well, most of which are related to my church. One thing I am considering is creating a blog regarding the novel with updates on the process and progress of the book. Other writers are now doing it and I will consider it. But, not until I feel I’ve reached the point of making that possible without compromising the quality and progress of the book. I don’t know how long I’ll step away. Hell, now that the pressure is off, I could start posting every day again. But, not likely. I hope to be back to writing and see you all commenting soon. I appreciate your comments, Raeyn. I’ve already been feeling much less stress. You just got back from a break in writing. How’s it feel? I wish you well and much success. Please let us know if you do start that blog on the progress of your book and definitely when it is complete. You are missed but I definitely understand about having to make choices. I’m excited for you. God bless. Thank you, Journey. I’ll definitely keep people updated. I wish you success in all your endeavours! I will keep you in my heart and prayers. Be well my friend.